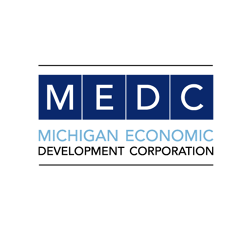 The Michigan Economic Development Corporation, a public-private partnership serving as the state&apos;s marketing arm and lead agency for business, talent and jobs, focuses on helping grow Michigan&apos;s economy. There’s a lot happening in Michigan that makes it a great place to do business. Like lower business taxes. A world-class talent pool. And a strategic location. All this helps make Michigan the economic comeback story of the nation. Obviously, fueling new economic growth is Pure Michigan.